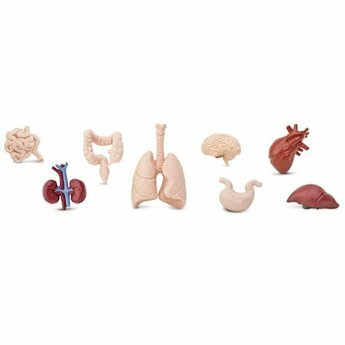 The human body is a marvel of creation, and now you can learn all about its many different and specialized organs with this Human Organs Toob! This Toob contains replicas of a number of human organs. 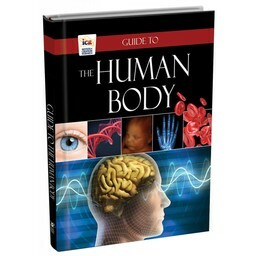 The human body is a marvel of creation, and now you can learn all about its many different and specialized organs with this Human Organs Toob! 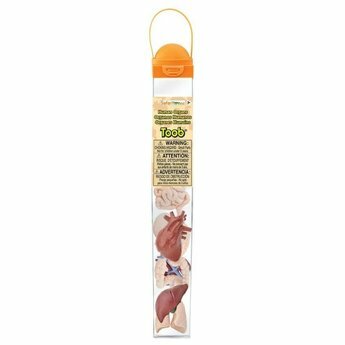 This Toob contains replicas of the small intestines, large intestines, lungs, brain, heart, kidneys, stomach and liver.